Lent is coming to an end. We are preparing for Holy Week and Pascha. The liturgical cycle will turn toward Pentecost. This Pentecost, June 19, will be different from other celebrations. We are praying and looking forward to the opening sessions of the Holy and Great Council. This meeting has been 1200 years in waiting, and its agenda has taken 80 years to prepare. This council is a turning point in world Orthodox Christianity and indeed the entire Christian world. 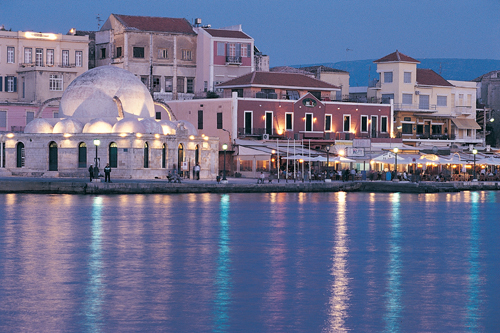 Bringing the bishops to Chania, Crete has not been an easy task. The Patriarchs, autocephalous and autonomous bishops signed off on convening this meeting called by Ecumenical Patriarch Bartholomew in October 2008. The agenda and rules of procedure were subsequently approved over a period of time after this initial meeting by these same bishops. But they have been expressing all sorts of considerations since the original consensus was made to proceed with the meeting. Relying on the inflexible application of tradition is not the way to discern what God intends for His Church or what is expected from His Shepherds. The internet is full of letters from Metropolitans and bishops expressing considerations. World affairs since 2008 in Antioch, Jerusalem and Qatar have impacted the consensus. Deliberations of Assemblies of Bishops in Canada, the USA, and Europe have brought forth additional considerations. The Eastern European Block and Russian Patriarchate have offered their considerations about unity and autocephaly regarding the churches they oversee in the lands outside the borders of the ancient Roman Empire. Some believe that bringing together the bishops in one meeting place is the major achievement that we can expect. Some of us have different expectations. We are expecting that the entourages of the Patriarchs, autocephalous and autonomous bishops will include invitations to bishops of the daughter churches that exist throughout the world from Asia, Africa, South America, Europe, Canada, Australia and the USA. Bishops from these churches need to be included in the meetings of the Holy and Great Council. Those of us living in lands outside the boundaries of the ancient Roman Empire expect that daughter churches in Europe, Asia, South America, Africa and the USA will be unified and self-governed, because parallel jurisdictions in the same geographic areas are uncanonical. This uncanonical situation of disunity hinders the mission of the Church and does not enable it to meet the spiritual needs of the faithful, so that they can participate in church life fully and completely. We expect that the bishops will come to the meeting knowing that they are entering Holy Space, a Holy Time, a protected place where God shows the way. They need to put behind them their parochial mindsets, turf issues, national and ethnic and do their work as instruments of the Holy Spirit which is present everywhere and fills all creation. There are no easy answers to difficult issues confronting the bishops. They are not called to a congress where they negotiate, bargain or compromise. They are called to discern God’s will for His Church and to be open-minded and thoughtful, so that God can show the way for the good of His Church which they shepherd and serve. The world and the faithful are watching. Previous ArticlePriest Calls Patriarch “Betrayer” of the Faith! Excuse me? Instruments of the Holy Spirit? Well its going to be all or non voting right? Does that look like letting the Holy Spirit to work? 1-if we are going to stick with sending only 24 members from every Church, then each and every Patriarch or Archbishop should send the holiest people he has. With 1 or 2 who are theologians ( not the Western type) so they can translate what the Holy fathers want to say in words, right words. Not stuff coming from the lefties! 2-Better not to stick to the 24 members and let as much as possible to attend. 3- If we trust the people going then we need to trust their conclusions and accept it. 4-According to No.1 the attendees not necesserly be patriarchs and Archbishops and metropolitans. It could be any one trustedwith their praying. The way things will happen will mean that nothing new will be discussed. The happenning of this counsil is like not happenning. I dont hold high hopes. Miracles happens not magic. And for the former to happen, praying need to happen by those who are going. An interesting perspective from the laity point of view. I made a comment and provided a link at our fb group, Not All Catholics Are Roman…But All Catholics Are One, part of the TodaysCatholics.com online community. Since there can be no whole Church Council until the various families first learn to join together, listen to each other, and to God, it is heartening to see Orthodox Catholics, who represent a diverse and large group of denominations, making such an effort. We will be praying for you! Thank you. But there is a point to make here. Orthodox are one. They are not all Greek, though. But all have the Greek way of thinking (St. Gregory of Palams. Vs. Barlaam). A whole Holy Council can be done, even without the Vatican (although we would love to have everyone), because since the 4th Holy Council the Non-Chaldonians didn’t participate, but the Councils were still whole. As you can see, The Pope went ahead and had the Vatican 1 and 2 as Whole Councils, without participation, of course, from any other church. What we didnt do was to ressurect an Orthodox Pope on the West instead of the fallen one, due to our love to the Western Church, hoping that one day it will return. On the other hand the West didnt return that love and went ahead resurrecting several Patriarchs who are inferior! to the Pope, who himself is a Patriarch. So, if done right, this Council can be whole and holy. Otherwise it will be a Vatican II-like. The only difference is that Orthodox, due to the fact that they don’t have laity and clergy (all are one, forming the Whole and One body of Christ – the difference is Royal Priesthood & Ordaind Priesthood), no one can impose cannons or conclusions on us if its not Orthodox. So in our Church there is no laity point of view Vs clergy one. Its only an Orthodox point of view. 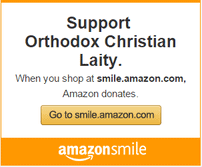 Protecting Orthodoxy is a mutual service. When people fall, those Ordained lead, when Ordained fall people lead. I agree with you regarding the futility of this expensive ecclesiastical extravaganza. As you have already noted, the important issues have been eliminated from the agenda. I just hope that the attendants enjoy Cretan hospitality and the Cretan landscape. Question: Doesn’t + Bart’s jurisdiction also extend to EU nations other than Greece, North and South America and Hong Kong and Australia? Andoni, Your thoughts are correct and our American Orthodox Church will become one through assimilation. You observe many ethnic speaking Churches now speaking partly or mostly in English during the celebration of the Liturgy. Always in English when asking for stewardship and special fund raising events. For me I appreciate the Greek as well as the English language but for my twenty two Grand Cildren and Great Grand Children English will carry the day. In the Greek Ox. Monasteries Greek should be the language for it is a complete language of communications. In the future, expanding G. Ox. Monasteries if desired English will be used. The Orthodox East with its 250 million faithful must have one head and speak with a single voice, not with 14 as is presently the case. Rather than promote the further fragmentation of the Orthodox East, through the creation of additional autocephalous or autonomous Churches, we should strive to unite it and in the process grant the Ecumenical Patriarch the role that he fully deserves — that as the “first” in the Orthodox East. “First among equals” may have been an acceptable role for the Ecumenical Patriarch in the past, but no longer is. His role as “first” in the entire Orthodox East is essential, if he is to pursue, among others, the dialogue with Rome that was began by the late Patriarch Athenagoras and Pope Paul VI in Jerusalem in 1964. Dennis: Your thoughts are appreciated, but incorrect. Your view is more Roman Catholic & Western than Orthodox. Here’s why: From Pentecost, the Holy Spirit has been sent to live with men. The Holy Spirit leads and guides the Church, not one man. When the Orthodox gather to make a decision, all the bishops, monastics & elders gather; they pray for the Holy Spirit to guide them; they discuss the matter or matters at hand; then vote on what the Truth is and what course to take. 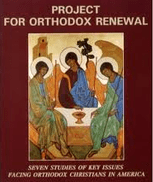 Decisions in the Orthodox Church are “COLLEGIAL” guided by the Holy Spirit. The Bishop of Istanbul as the “First amoung equals” only means he runs these meetings or gatherings – THAT’S IT! He does not have total authority. Consider the first council of the Church in Jerusalem (Read Acts) where Peter presided and Paul was present. Peter was insistent that ALL baptized men MUST be circumcised. Paul told of his vision of how Christ was the New Covenant and came to ALL people (non-Jews) and circumcision was no longer necessary. The meeting was contentious and in the end, Paul’s point of view won out, not Peter’s. This is how decisions are made in Orthodoxy; not by one man, but by council guided by the Holy Spirit. “Absolute power corrupts absolutely.” Your approach is exactly what Rome did with the Pope and fell into many heresies. Let’s begin with + Bart referring to himself as “His All-Holiness” – HERESY!